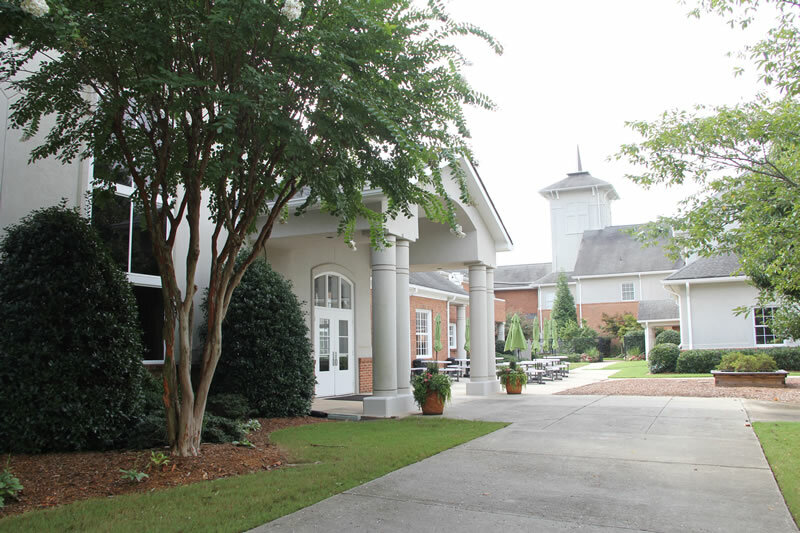 Alpharetta Presbyterian Church is located at 180 Academy Street, close to City Hall in downtown Alpharetta. Click here for a Google Map to our property. 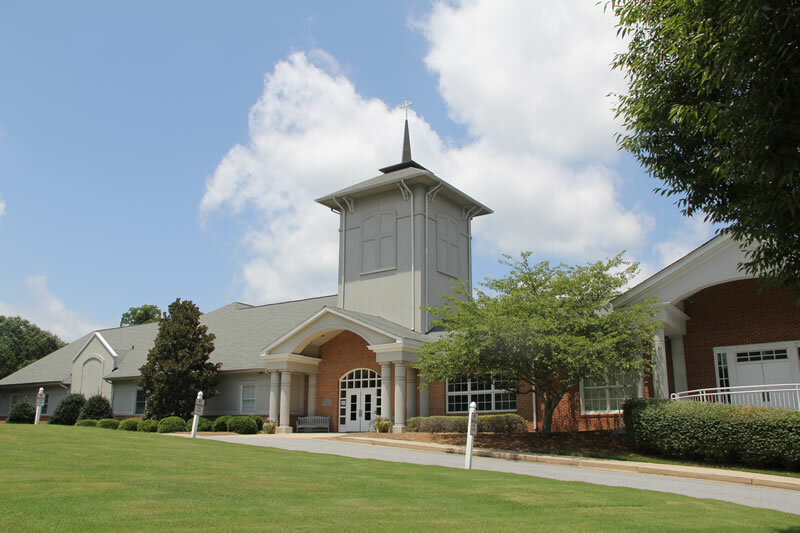 Please note….the steeple is in the front, but our Sanctuary and Fellowship Hall are in the back! As you drive to the right side of our building, you will immediately see a small nursery playground on your left. Next to it is a door covered by a long gray awning. After entering this door, turn right for the Church Office, or proceed straight through another set of doors and across a small courtyard to the APC Dayschool entrance. From the right side of our building, enter through the large double doors on your left. This entrance offers an automatic door opener as well as parking spaces for those with limited mobility. 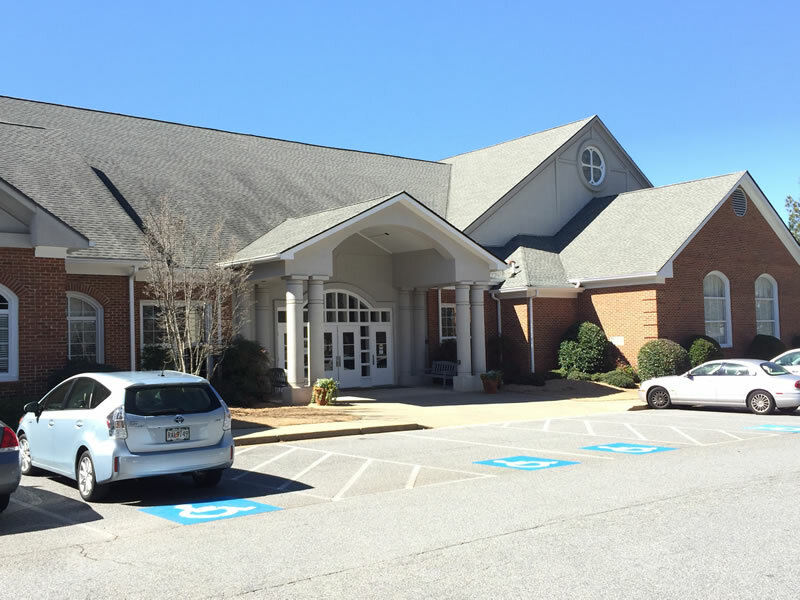 A second entrance to the Sanctuary and Fellowship Hall may be accessed via a sidewalk from our rear parking lot. 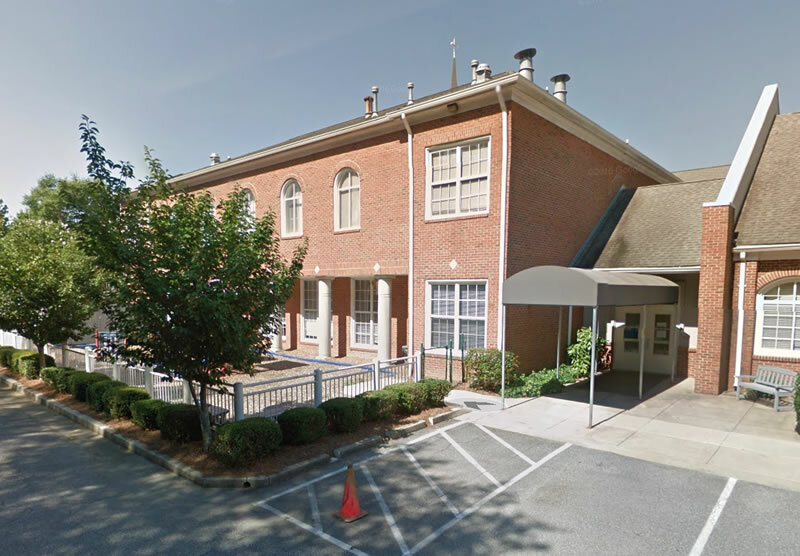 Access to these rooms is easiest from the front of our building, under the steeple facing Academy Street. Enter through the double doors under the steeple and turn right for the Theater, and left for the Gym and classrooms. An elevator to the first floor is located in the lobby.